Find Greenwood, IN Homes for sale. View Photos, Maps and MLS Data Now! 2 car attached garage, 32'x24' 3 car detached garage, 37'x25' heated barn. Updates too numerous to mention. MLS#21633442. Keller Williams Indy Metro S.
Calvert Farms - All That And A Full Unfinished Basement with bath Plumbed That Can Be Finished To Your Exact Specs! MLS#21636164. BRG Realty Partners. Forest Hills - Enjoy the beautiful backyard from your screened in porch during the warmer months or snuggle up inside with your cozy fireplace in the winter. MLS#21635600. Keller Williams Indy Metro NE. Woodland Streams - Room in basement being used as 4th bedroom with a full bath and closet. MLS#21636511. Makeover Realty. This home truly has something for everyone! MLS#21636163. Compass Realty LLC..
System, and tree-lined privacy, & Finished 3 car garage. Must See Today! ! MLS#21635694. 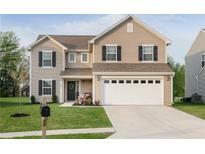 Keller Williams Indy Metro S.
Trails At Woodfield - Expanded 2 car garage with opener and keyless entry system. MLS#21636331. HMS Real Estate, LLC. Washer and Dryer are not included in the sale. MLS#21636366. CENTURY 21 Scheetz. Meridian Meadows - This home offers living room with stone fireplace, vaulted beamed ceiling, enclosed patio with electric heat, Kitchen with all appliances and pantry, 2 full baths, 3 bedrooms, finished garage with insulated door and garage door opener, concrete drive and storage barn with electricity, beautiful, lush yard with irrigation. MLS#21636529. Inabnitt Agency Inc..
Minutes from everything downtown Greenwood has to offer. MLS#21636054. Carpenter, REALTORS®. Hunting Creek - Fantastic starter/first home. You won't be disappointed. MLS#21635795. Landtree, REALTORS®. Country Aire - Perfect for fun times with family or entertaining guests. MLS#21635982. Central Indiana Town & Country. Schedule a showing today to take advantage of the best value in Greenwood! MLS#21632912. Keller Williams Indy Metro NE. There's a lot to like here and tremendous value! MLS#21635684. Highgarden Real Estate. Cozy up to the fireplace with a loved one, eat, drink, and be merry with your friends, play a rousing game of kickball in the massive finished basement... your choice! MLS#21635935. Simplify Real Estate. $26,000 in updates since 2016 - Listed/Sold: Walnut Woods - Brick Ranch In CG Community, 3 Bed, 3.5 Bath, Kitchen & Breakfast Nook w/ Center Island, Miller Made Cabinets, Tile Back Splash, Granite Counter & Butler Pantry, Great Room/ Built In's & Beautiful Double Mantle Fireplace, Spacious Master w/ Sitting Room, Vaulted Ceilings & Walk In Closet, Master Bath w/ Dual Sinks, Travertine Counters, Separate Jacuzzi & New Tile Shower - 2017, Good Size Bedroom 2 & 3 w/ Full Bath, Remodeled Laundry w/ Vinyl Plank Flooring, Cabinets & Utility Sink, Basement w/ Huge Family Room (Could Be 4th Bedroom), Recreation room w/ Attached Storage Room, Wine Cellar Room (Could Be Used For Storage), Screened Porch & AWESOME Wood Deck w/ Outstanding Landscape. MLS#21636155. Jeff Paxson Team. Fair Oaks - The kitchen features granite counter tops, a bright breakfast room and a new door leading out to a quiet backyard with a deck to enjoy. Come see for yourself! MLS#21636015. Hoosier, REALTORS®. Oldefield Estates - Don't let this one get away! MLS#21636090. Normington Realty. Turfway Park - Come and see this one! Easy show. MLS#21633243. RE/MAX Results. 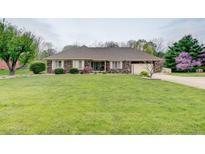 This amazing home is located in the top rated Center Grove school district. MLS#21635670. K. Justin Brown. Pebble Run - Upstairs are 2 hugh rooms that are joined by an expansive walkway these can be additional bedrooms or Recreation rooms, walk-in attic space upstairs Updates in that last 2-3 years – bathtub/shower by bath fitters, windows & slider at the backdoor by universal, HVAC, roof & gutters, water heater, garage door & garage door opener, exterior paint, dishwasher, kitchen & bathroom flooring. MLS#21635896. F.C. Tucker Company. Trails At Woodfield - Full basement and 2 bay garage with opener. MLS#21635865. HMS Real Estate, LLC. Carefree - Close to Pool and Clubhouse. Opportunity knocks! 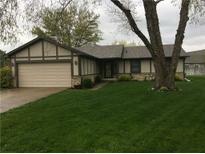 MLS#21632574. Keller Williams Indy Metro S.